Even as an undergraduate, Rasmita Raval was fascinated by the interactions between electromagnetic radiation and matter and how these can be used to probe the molecular structures of things. It was this that took her to the University of East Anglia to study for a PhD in surface science, supervised by expert spectroscopists Norman Sheppard and Mike Chesters. And as PhDs go, hers was an exceptionally successful one: few doctoral candidates can claim, as she could, to have developed the methodology for a new technique. In the technique in question, Fourier transform reflection absorption infrared spectroscopy (FT-RAIRS), information about the structures of molecules close to a surface is obtained from the vibrations generated when they absorb infrared radiation. It has since become one of the most versatile techniques for probing the interface between complex molecules and metal surfaces. 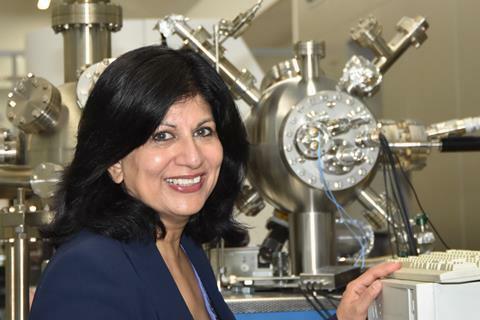 ‘Our work represented a real breakthrough in the field; FT-RAIRS enabled us to probe the detailed structure of the layer of organic molecules closest to a metal surface for the first time,’ she remembers. Raval took this technique with her when she moved to the University of Liverpool for a postdoc in David King’s surface science group. 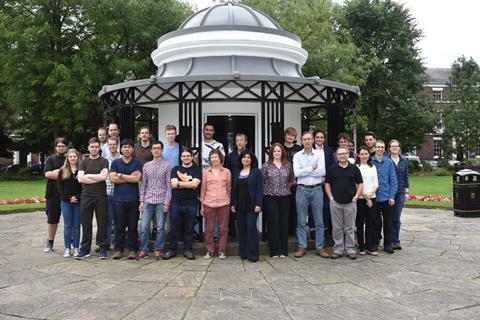 ‘I spent my postgraduate years setting up the first FT-RAIRS instrument in the world at UEA, and my postdoc setting up the UK’s second, in Liverpool,’ she says. Soon after that, however, King was appointed 1920 professor of physical chemistry and much of his group, including Raval, moved south with him. In some sense, it could be said that her postdoctoral work took her back to first principles: studying the interaction between carbon monoxide and a palladium surface at the molecular level. Using FT-RAIRS, the group observed that increasing the concentration of carbon monoxide molecules at the surface caused the palladium atoms in the top layer to rearrange themselves. ‘This delicate dynamic arrangement seemed completely counterintuitive,’ Raval explains. ‘We couldn’t believe it at first; we thought that something had gone wrong with the equipment. 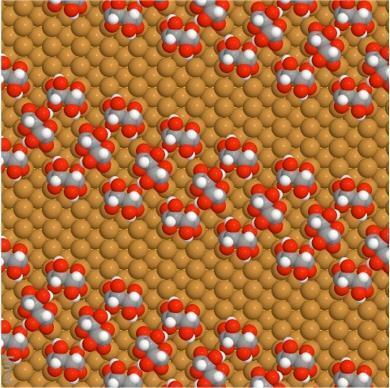 It took us a while to realise that it was a real phenomenon.’ This dynamic behaviour of metal surfaces during the adsorption of molecules is now widely studied and is known to underpin important phenomena at interfaces. In 1990, Raval took up her first independent research position at the University of Aberdeen, but she didn’t stay north of the border long. She was appointed associate director of the Leverhulme Centre for Innovative Catalysis at Liverpool University four years later and has worked in its chemistry department ever since, moving steadily up the academic hierarchy; she has directed Liverpool’s Surface Science Research Centre since 2001. Her group now uses a range of surface-sensitive spectroscopies and imaging techniques to probe phenomena at surfaces in a variety of research fields that seem on first glance to have little in common. Tartaric acid is a simple organic acid that occurs naturally in many fruits, and it has a unique place in the history of chemistry. Pure tartaric acid was one of the first compounds known to rotate polarised light; it was none other than Louis Pasteur who first noticed that sodium ammonium tartrate crystallised in two distinctly different, mirror-image forms and – many decades before the nature of molecular structure was understood – discovered chirality. Over 150 years later, Raval and her group used tartaric acid to create the world’s first homochiral molecular interface just one molecule thick. In an unexpected twist, it was found that unless the monolayer was an exact 50:50 mix of enantiomers (a racemic mixture), an inequivalence can be generated in which only large 2D crystals of the pure majority enantiomer form on the surface; the minority enantiomer remains disorganised. ‘We now know that amino acids can also form 2D crystals of pure enantiomers at surfaces, opening up the possibility of creating inequivalence between the two enantiomers,’ explains Raval. ‘Proteins in living systems are formed exclusively from the L-enantiomers of amino acids, and we don’t yet understand how this preference evolved. It is possible that this type of self-assembly into pure enantiomer crystals at surfaces was a necessary step in the evolution of life’. Pertinent to such thinking is her new work demonstrating on-surface synthesis of oligomers directly at surfaces in water-free environments like those that exist in space. Another, more practical application of Raval’s work is in the battle against antibiotic resistance. Many types of bacteria can form a film on any convenient surface by secreting a sticky extracellular matrix that enables them to adhere to each other and to the surface. These biofilms are tough, and typically more resistant to antibiotics than isolated bacteria; about 65% of medically significant human infections arise from biofilms. Therefore, it should be possible to prevent infections by deterring biofilm formation, and Raval is investigating ways of altering the surfaces of, for example, medical implants so they repel film-forming bacteria. This work takes place under the auspices of Liverpool’s Open Innovation Hub for Antimicrobial Surfaces, which she founded in 2014 and which includes clinical, industrial and academic partners: the first products developed there are almost ready for clinical trials. I think Pasteur would have approved.